Standing on the stairs, greeting guests who have arrived for a tour, I often begin with a guessing game, which is good fun audience participation. 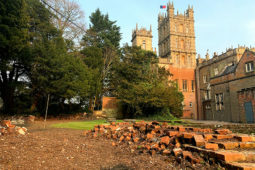 How long has Highclere been a home? How many rooms are there or how many showers? A few willing guests take a guess and, often getting it wrong, it acts as an excellent ice breaker. If it was a TV show of course, they could ring a friend or ask the audience or otherwise simply Google the answer. In the winter the most pressing question may well be how is the Castle heated. Originally, of course, it was with fires and all the bedrooms, including the house staff ones, still have fireplaces. Some of the fireplaces are marble, carefully chosen, carved and with detail which I too often walk by. Even as far as the second floor, the mantelpieces are rather beautiful. There is a dumb waiter which was used to help the footmen haul the coal and firewood up to the nursery floors and above. With candles and flame, the risk of a fire required careful, watchful observation and, in our case, in the past, a night watchman would patrol the corridors. Fire escapes were clearly signposted and there were, and are the remains of, fire chutes on the top floor. I do know people here who actually had to practice in them 60 years ago. They acted as a canvas slide, wedged in a window at the top, and held in place by men who you hoped were your friends at the bottom, thus ensuring a safe inclined angle, rather like a bouncy slide. I am not sure I would like to try one although I have always wished I could exit the Castle via a helter-skelter. Running back upstairs to have another go would be good exercise and keep me warm. Today, fireplaces remain in use in just the major State Rooms and there are now two large boilers in the cellars, fed from an enormous oil tank outside. There are some radiators on the ground floor and a few on the gallery but no radiators in the bedrooms. A couple of days before guests arrive we shut all the shutters and curtains and open the bedroom doors to encourage heat to go in and stay there, although we also switch on the white panel radiators which I bought for each bedroom. Not necessarily beautiful but most welcome. The next level of heating is hot water bottles, and beyond that, an extra sweater and socks will do the trick. I like having the windows open anyway and on holidays as children in Cornwall, the windows leaked air which came in gusts off the sea. John, our inestimable Castle manager, comes from Yorkshire and the windows in his office are usually open, there are no radiators, and he merely wears a thicker sweater and a fleece jacket. One might think it might lead to shorter meetings but sadly not. In contrast, the office team next door believe in hats, blankets and scarves. Their window is closed, the curtains tucked around to keep out the drafts and they do have a radiator. Rather typically for an English estate, the dogs and horses are well looked after and, in the course of renovation of the courtyard block, there are now radiators along an outside stable wall and a lovely one in the tack room, thus making it a very good place for meetings. Overall, I suspect the temperature in the Castle has not changed hugely over the years, which ensures a stable atmosphere for the works of art whether they be furniture or paintings. We all walk quite a lot in the course of a day. Sometimes John claims he has done his 10,000 steps by 11am, which I am not sure I believe, whilst my husband is busy taking a walk because he has a watch which tells him his heartbeat is going up every few minutes so he has to go for a walk to calm down. Today, there is no night watchman but a high level of smoke alarms and fire detectors throughout the Castle, as well as constant, diligent care regards all wiring. Having checked inside each evening, John walks briskly round the outside, keeping warm by looking for errant slivers of light from shutters and thus completing his step count for the day. Actually, I was just wondering about your heating system the other day and concluded it would be impossible. 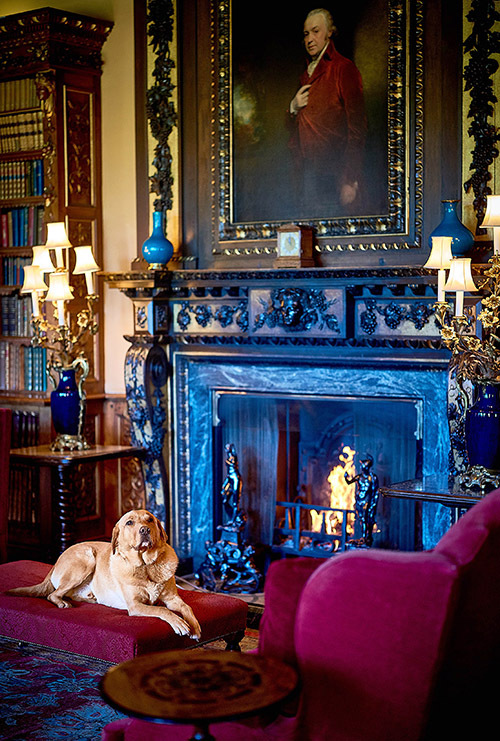 Staying warm at Highclere sounds like an adventure in itself. Stay warm. Reading your posting reminded me of a passage from Charles Spencer’s book (pub. 1998) about the Spencer’s family seat, Althorp. Since first reading it, I’ve always admired how carefully and more-or-less politely he manages to make perfectly clear how awful (in a number of innovative ways) his and Princess Diana’s stepmother, “Raine” was. Perhaps the most neutral way of phrasing the matter is that she really should never have been the chatelaine of a large country house. Althorp and her expectations don’t seem to have ever quite matched-up. In any case, reading about your heating “problems” reminded me of the passage in which he writes (yes, I just grabbed the book off a shelf)…..”It is important to try to see the humor in everything, of course, and that includes Raine’s attempt to clad all the elegant Georgian windows in the ugliest imaginable double-glazing, the furniture cracking and tearing in protest as its annual fix of Winter humidity was denied it…..”. I know of an old house in Virginia where the same happened. New owners decided to modernize by installing storm windows (ugly and cumbersome) and central heating……. and basically closing everything off from the outside for the first time since 1800 or so. Within a year, marquetry panels started popping off doorways and mantels, parquet floors started coughing up stray pieces, etcetera. All in all, there’s only so much you can do to “modernize” an old house. As I type this, sitting here in the back kitchen of this rambling, 220 year old house, I’m wearing flannel pajamas, a sweater, and a scarf. It’s just EASIER to follow your estate manager’s practical example…..throw on more clothing, microwave the teapot for the third time this morning, and leaf through the catalogues for Spring planting (somehow, this always makes me a bit more optimistic as to whether warm weather will ever return). Thanks for the enjoyable posting, and do stay bundled up…. I grew up in a small, older farmhouse in south-central Pa. and had one of the two bedrooms upstairs. The ‘heating’ for the room was a hole in the floor with a grate over it that would allow some small amount of warm air from downstairs to waft up… and get sucked out the drafty windows before actually getting much into the room. Lots of flannel and blankets were needed during the colder parts of winter. The only fun thing about that grated hole was I got to eavesdrop on whatever program was on the TV in the living room. Keep toasty and I hope you are finding some great options for planting in the spring from those catalogs. I do not think it is ever easy as the “chatelaine”. In some ways given my parents-in-law did not live in the Castle, I could feel my way and explore, working with memories from way back. Whilst my parents-in-law had renovated some rooms – I just carried on with others. I think the style is not just my style but reflects the architecture and family in a wider sense. In the end however I need to like papers and paints etc and I am always thinking about space and peace. “At Home” acknowledges that it is not my Castle, it is Diana the Housekeepers’s Castle, it is John the Manager’s Castle, Painter Pat’s Castle, Les’s Castle… it is filled with people such as Robert the Butler, who whilst he has died he worked here for 50 years. I thought I would wait – can’t tell you all the answers all at once!!! ?? We have created the opportunity to come and stay here “Come and Dine” perhaps the lucky winners can go and look and then report back! You always manage to find the most interesting things to write about in your blogs. I can well appreciate how difficult it is to heat a large home but you have those wonderful duvets that should help to keep the occupants in the bedrooms warm. My husband and I travel to Great Britain every June and we mostly stay in wonderful B and Bs, castles, and manor homes. Every single bedroom is adorned with a fitted sheet and a heavy duvet even in the summer. When I asked about why they have them on the beds in the warm weather the answer was simple… no place to adequately store them! So I have learned to sleep with them in the warm weather and I am sure they would come in just as handy in winter! 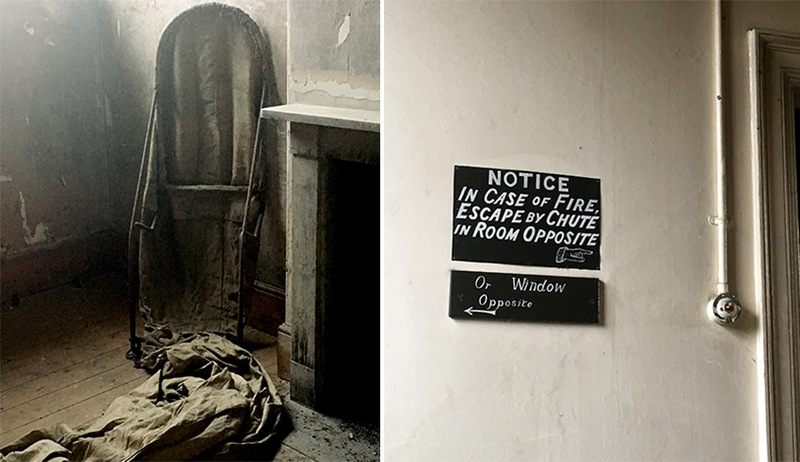 As usual, the photographs you have included are lovely except for the fire chute contraption! Pat (who paints here) went down one! Ahhh, the beauty seen, the history stated, and truth shared of each season’s reality of life in your fabulous castle bring it even nearer and dearer to our hearts (even for us who live so far away). How charming and cozy to sit there beside your pup and have a cup of tea by the fireside! So inviting! Thank you, Lady Carnarvon, for sharing your beautiful blog I look so forward to receiving! Thank you for the great details. Do you use wood in the fireplaces or have you switched to gas logs to lessen the workload & increase convenience? We love our gas logs but ours is not a historic home. In our home in England, when I was a child, the only heat we had in the winter was a coal fire in the living room. We sat around the fire, listening to the wireless (radio), legs getting burnt, our backs freezing. Once in a while we would stand up and warm our backs then sit down quickly and feel the warmth . My mother had summer and winter curtains. The winter curtains were heavier material, and a curtain covered the living room door to keep the draft out. From an old pair of my dads trousers my mum cut the legs off, stuffed them with , think it was called kapok and made them into a “sausage” to put at the bottom of the door. Hot water bottles were used to warm a spot for your feet in bed hated waking up touching a cold bottle. We too would wear sweaters, bed socks, knitted of course and perhaps mittens. 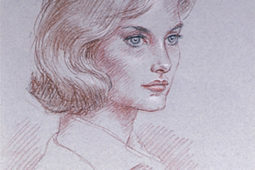 Thank you again for a lovely description of life in Highclere , always with a great sense of humor. Always a pleasure to read your blogs! We are in New England and just went through a period with double digit, minus degree temperatures. A pipe in our heating system burst which has made our bedroom unheated – at least until we are on the plumber’s overbooked repair schedule. We installed a portable heater and after reading this, I can happily say that bedroom heating arrangements are just like those at Highclere Castle. Hot water bottles too I hope – cold weather = two hot water bottles!!! Thank you for answering the question, before it was even asked. I have often wondered how you keep the castle warm in the coldest part of winter. Here in Oklahoma, we have been experiencing an unusually cold winter. Being more or less a southern state, we are not used to long, cold dreary days with temperatures hovering below freezing or slightly above. This past month has found us wrapped in many layers of warmth and longing for sunshine. Before retirement, we lived for 40 years in a 3-story, with basement utility built in the early 20’s. I know this is young and small by castles standards, but we found it hard and expensive to heat. I can only imagine the expense involved in the task of heating your home. I tend to think when we have got mid way though January that we are heading to Spring and sunshine. It’s so interesting. Actually it’s a good idea to tell about your castle. From your story and photographs that you included there’s the felling of comfortable, cosy, peaceful atmosphere. I feel myself in magic fairytale. The castle is really full of life. Your ‘icebreak game’ for the guests is also wonderful. I found this quite informative and interesting. I agree….the house has gone this long without overdoing the heat and should be kept relatively the same now. Who knows what modern ideas on energy efficiency would do to woodwork, art, furnishings that were never in that environment. Wool socks and a sweater are my best friends these days as I am always on the move. A nice hot cuppa helps too! Thank you for sharing! Oh my goodness, those blue fireplaces are just gorgeous! I think I’d probably just sit and stare at them for hours. And of course close my mouth from awe. I hope you will visit then! I love how the Doggie knows where the heat is – he looks very comfortable on the ottoman in front of the fire! Do you use wood and coal in the working fireplaces? Just wood – really dry wood.. This is all very interesting. One does not think of the comfort level in English Castles (though have read of legendary coldness), sitting here in our centrally heated 20 year old homes in America! It makes me appreciate all the more the hard and loyal work you do to keep things running at top form and beauty. Thank you – you do all tend to have a lot more central heating!!! It is always a pleasure to read your blog. A space as large as the Castle is difficult to keep warm, in addition to what you have told us, I am sure that the walls will be of a considerable width, which will favor both the cold and the heat have a temperature ideal. I have always liked the chimneys and this Christmas I have built a decoration and so I can decorate it as I like. The photos are beautiful …. greetings. Thank you for sharing your castle secrets!!! We have loved Highclere from the King Tut books, then Downton Abbey and now your very interesting posting! Thank you. Thank you for sharing the history of your home. Keeping up such a massive home can not be easy, just the heating cost must be amazingly high. You and your husband have done a wonderful job of maintaining the house for future generations. I hope it will give many visitors pleasure! Dear Lady Carnarvon, thank you so much for another warm and cozy story. It reminded me of the stories my grandfather used to tell about the heat in the townhomes in coal country where he worked before coming to America. What a lovely insight into heating such a huge home. Who knew writing about heating would make for an interesting article? I just love fire places–there is something “old world” about them that I just love. I find that I am getting more and more curious about your castle manager, John. He sounds like quite an interesting person to know and work with. Perhaps, some day you will feature him in an article, again. I really enjoyed reading “The Countess Of Carnarvon: Lady Catherine and the Real Downton Abbey”. I was looking around for another book written by you that I may have missed, but no such luck. We have had some cold weather recently, I think colder than last year. I was in the kitchen talking to the chefs recently and I have to say it was cold – huge ceiling….! Although my house is much smaller then Highclere castle. When we moved into our 1930 bungalow on August 29th,2001.We had removed the original furnace,which was a wood burning furnace with a modern one.Which the modern one has central air going through it,as well as a humidifier. Because we only have two bedrooms,a front room,a dining room,a small kitchen, as well as a bathroom to keep heated during the winter months. During the summer months we use the central air to cool all of the rooms. Whilst that comes to mind that our heating &cooling bill is much smaller then your’s, I presume. Like I have said before please don’t stop writing your blogs,as I enjoy them very much. The oil bill is quite large and there is no “cooling” just the way the house is constructed! Wonderful post and so very interesting. Fascinating – I really enjoyed your article. Over the years we have had gas heat, oil heat, and wood heat by ether furnace or fireplace. Now in our retirement years we are cozy beside our propane radiators – lux – ur – y!! Even our 2 beagles have their bed pillows in the path of the outpouring of warmth – such as your lab in the photo above. We all love heat – the blessing of a cold winter’s day. NOS NO BRASIL TUDO FAZEMOS PARA NÓS MANTERMOS MAIS FRESCOS,VÁRIOS BANHOS AO DIA , ROUPAS LEVES E ASSIM MESMO SUAMOS A NÃO PODER MAIS A TEMPERATURA HOJE EM RIO CLARO ESTÃ NA MARCA DE 36 GRAUS CELCIUS .NAS NOSSAS CASAS TODAS AS JANELAS TEM QUE ESTAREM ABERTAS ,O AR CONDICIONADO LIGADO NO MÁXIMO. E COMO SUAMOS. OBRIGADA POR SEU BLOG MARAVILHOSO,MUITO JÁ PENSEI SOBRE O FRIO EM HIGHCLERE CASTLE E CONFESSO QUE JÁ SABIA DE QUASE TODOS OS SEUS PROBLEMAS DE AQUECIMENTO. BEAUTIFUL BLOG. ALWAYS A PLEASURE TO READ YOUR POST. IN BRASIL IS VERY HOT IN THIS TIME. THANK YOU. Thank you – it rather bitter here!!! 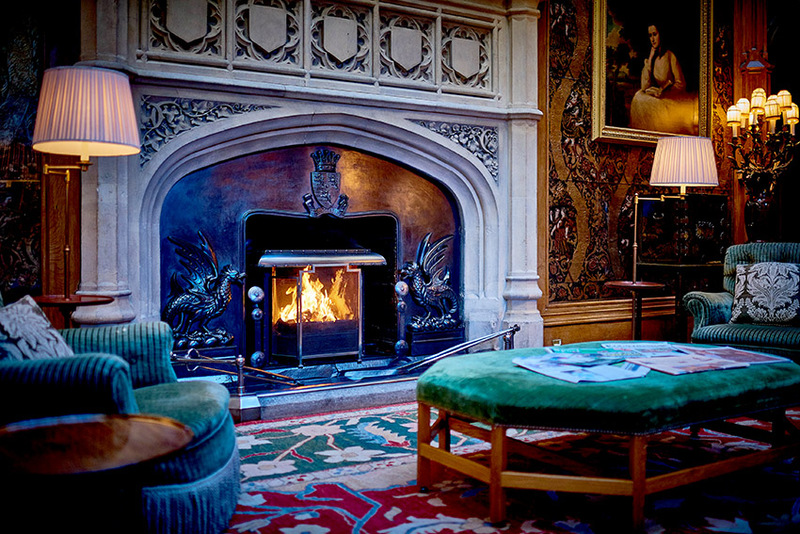 Whether by firelight or electric heat Highclere still has a warmth due to it’s loveliness and charm. I had to smile though when I saw your lovely staff with hats and gloves on though! I think there are challenges in heating a larger home. One of my cousins owned a large home (not at all on the scale of Highclere) and while lovely, I could not help noticing it was not overwarm. I think homes of all scale present their own challenges. There are many lovely attributes to a lovely estate like Highclere. So if you are snuggling in a blanket, let your home’s beauty wrap you in bliss! A nice WARM blog to read on a cold day here, and you fill the huge spaces of Highclere Castle with loving charm and beauty. I noticed the mention of your books, (and I am these days re-reading and paging through “At Home at Highclere”… getting inspired for the Come and Dine event we are planning for February :-), and was wondering if you might develop a book about “Porchey”, your father-in-law, and the friendship with Her Highness and the horses of Highclere. Now with the TV series :”The Crown”, it does have some episodes with the 7th Earl of Carnarvon, I think, and did they film at Highclere Castle? What fine tales are waiting to be told! When my daughters surprised me with a visit to Highclere Castle while on a business trip to England, I screamed with glee at first sight of your glorious dwelling. When I watched you and Lord Carnarvon in a video, you inspired me with your dedication to being “caretakers” of what has been passed down to you. We have the same responsibility to the farm and 1840 cottage that have been handed to us by our ancestors. Nothing to compare with what you have but your words made me appreciate this gift so much more. This reminds me of my friend from Nova Scotia. As a child, he lived in a small house that had a wood stove in the kitchen as its only heat. In winter, he used to lie in his bed under piles of blankets, sometimes waking to the sight of frost on the nails in the ceiling and completely covering the window. I’m also reminded of a summer trip a friend and I took to Britain. We stayed in several B&Bs, all wonderful experiences. The summer was cool, but one host mentioned leaving the window open to give us fresh air. My friend and I waited until we were alone, looked at each other, and quickly closed the window–we were freezing! I think we’re spoiled these days! Dear Lady Carnarvon, having visited your beautiful home a few days ago I am delighted to have now discovered your blog. 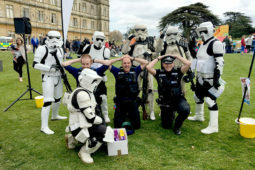 The experiences you and your many readers write of, brought back memories of my time living and working at Shrubland Hall. 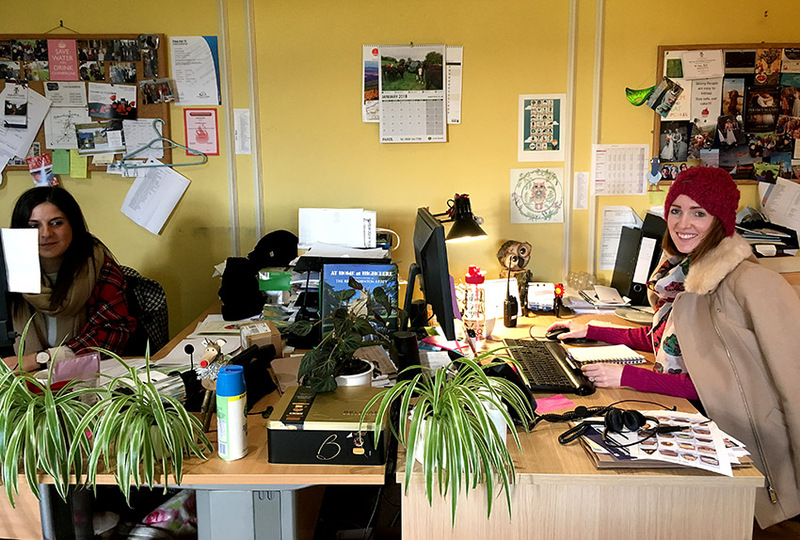 As a young new qualified Beauty Therapist I was starting my first job at Shrubland Hall Health Clinic in 1976, the home of Lord and Lady de Saumarez in the heart of the Suffolk countryside. Whilst thoroughly enjoying my working day carrying out underwater therapy, facials, massage etc, I loved to listen to Mr Jelly who was the butler when Shrublands was a private home. It was real life “Upstairs Downstairs” for me. Housemaids would warm the beds with Bed warmers, essentially a metal box with hot coals or stones inside with a perforated lid which was fitted with a long handle. Mr Jelly would walk the corridors at night collecting shoes to polish which he would return by the following morning ready to be worn again that day. He would tell me stories of packing up ready for time spent in London where the family and some staff would travel to every year, often travelling ahead to prepare the house for the families arrival. I think we are so lucky in our country to have a so many beautiful houses, castles and palaces that are a testament to our amazing heritage, but that said we are only privileged to be able to enjoy them through the hard work and unstinting dedication that families like yours do everyday. Thankyou for caring and Thankyou so much for sharing your beautiful warm and cosy home with us all, we are four very happy ladies and one especially Happy 60th birthday girl, Karon,who’s Year you have made!!!! So interesting! I love historic homes (and castles!) and help buyers and sellers of historic homes in Texas, my home state. I love it when the original fireplaces are intact as it adds so much character! Many are old coal burning fireplaces. If they still have the metal coal basket and decorative metal cover I am always so happy! 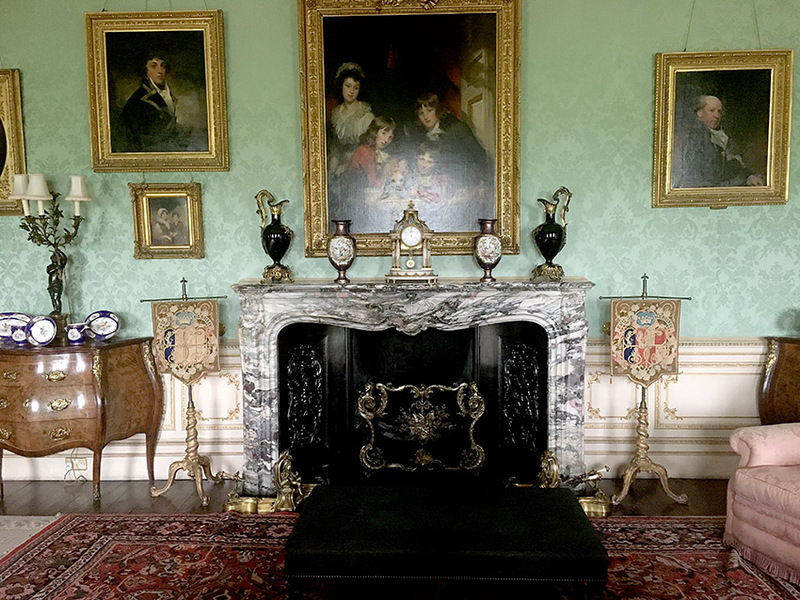 Are any of the Highclere Castle fireplaces of the Count Rumford design?